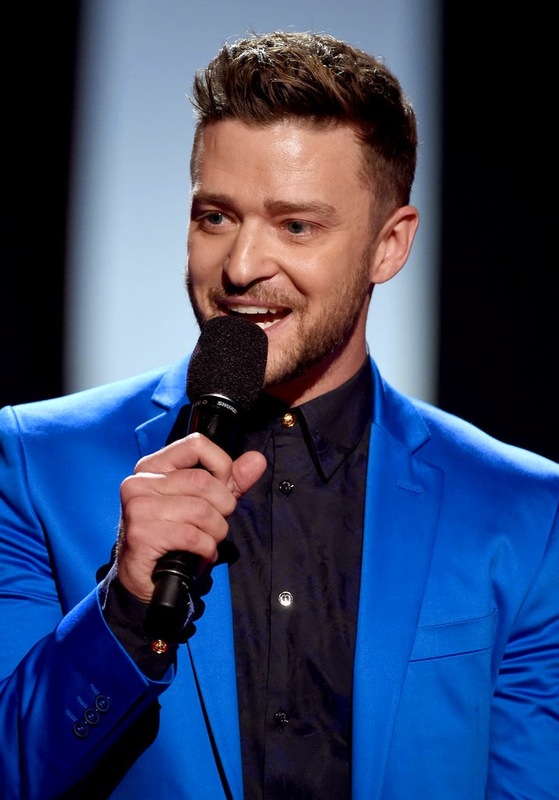 Justin Timberlake was honored at this years iHeart Music Awards tonight. He was named an Innovator which is without a doubt a title he deserves! Before accepting his award JT was spotted clowning in the audience with Taylor Swift and host Jamie Foxx. JT was honored by a few celeb friends including Taylor, Timbaland, Pharrell, and more. The award was presented to him by THE Tom Ford who is a longtime friend and collaborator. Justin couldn't help but be a silly guy while receiving his award, but he made some incredible and motivating points. ..It is not the critic who counts; not the man who points out how the strong man stumbles, or where the doer of deeds could have done them better. The credit belongs to the man who is actually in the arena, whose face is marred by dust and sweat and blood; who strives valiantly; who errs, who comes short again and again, because there is no effort without error and shortcoming..
JT ended his speech by shouting out his wife Jessica Biel and their new baby thats on the way! Hear his funny and long acceptance speech below. Congrats JT!